Chard semantics. Ok, Swiss chard is relational rather than predicational, but what’s the association between Swiss chard and Switzerland? 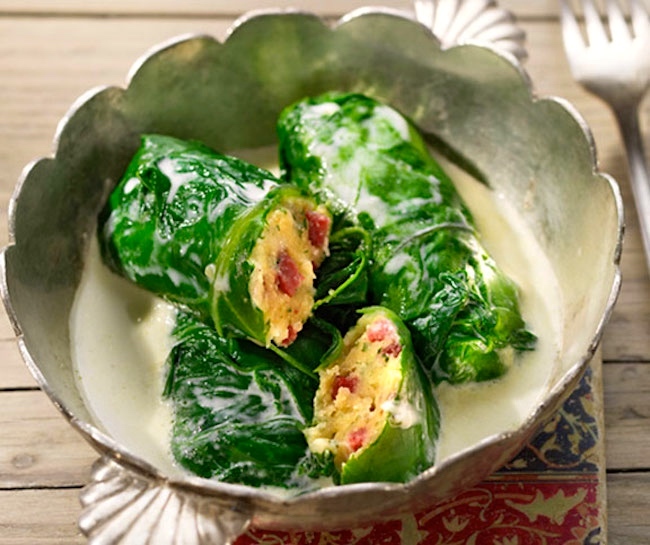 Chard is in fact an everyday culinary ingredient throughout Switzerland: in the German-speaking areas, the French-speaking areas, the Italian-speaking areas, and the Romansh-speaking areas. Also in the Swiss diaspora in the US. (And also in France, Bavaria, and northern Italy — all adjacent to Switzerland.) In contrast, in the UK, in Scandinavia, in the Slavic areas of Europe, in most of North America, and so on, it’s not unknown, but it’s an “exotic” vegetable (like napa, daikon, or jicama). 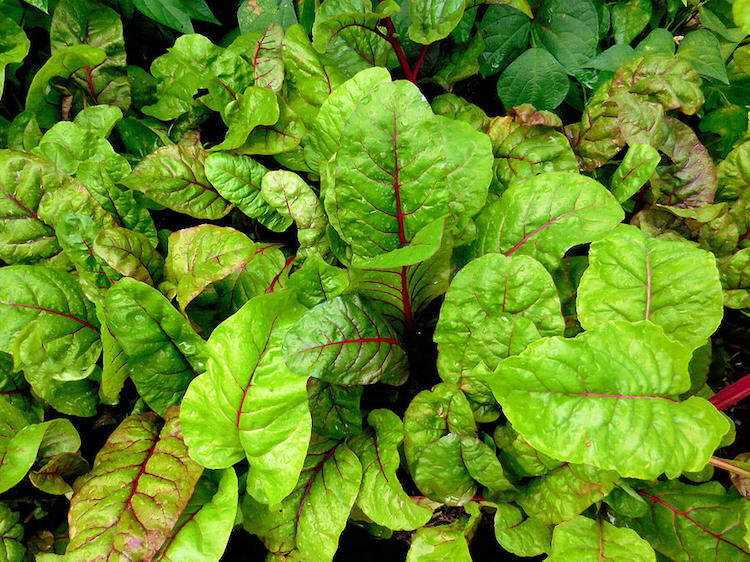 So in the real world there’s an association between chard and Switzerland, so that the name Swiss chard makes sense. 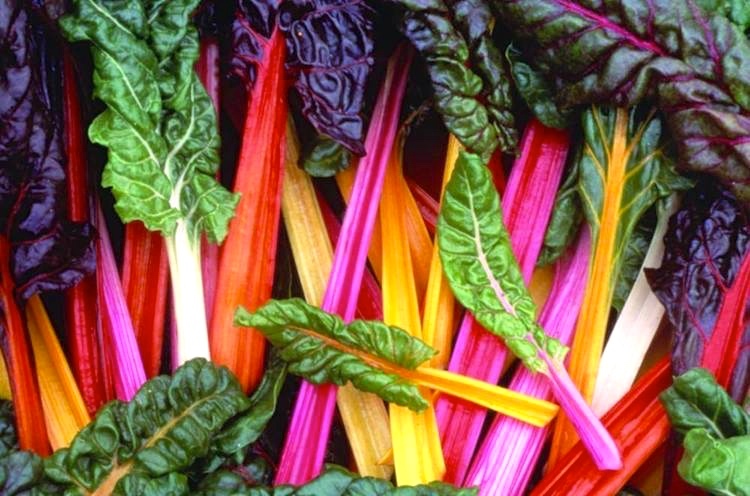 noun chard (also Swiss chard): a beet of a variety with broad white leaf stalks that may be prepared and eaten separately from the green parts of the leaf. The modifier Swiss merely amplifies chard: ‘chard, which (by the way), is associated with Switzerland’. That is, Swiss is an appositive modifier, not a restrictive one. On the distinction, see my 2/8/07 Language Log posting “Droning on”, about pilotless drones and similar examples. 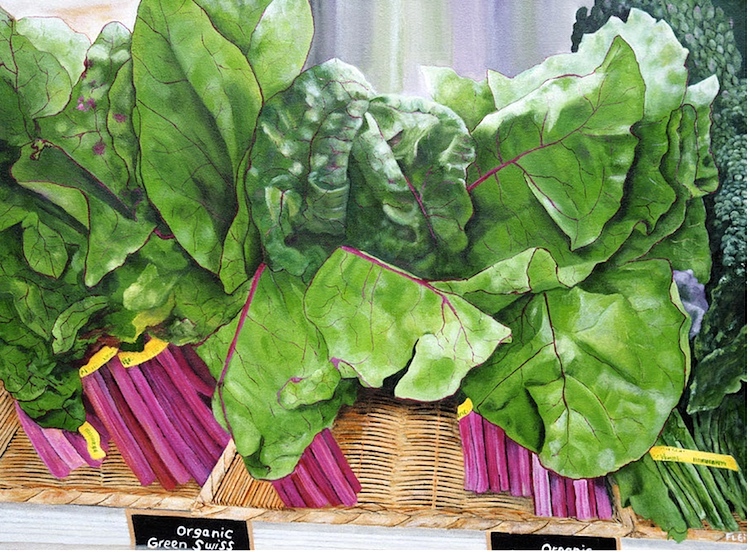 Chard art. 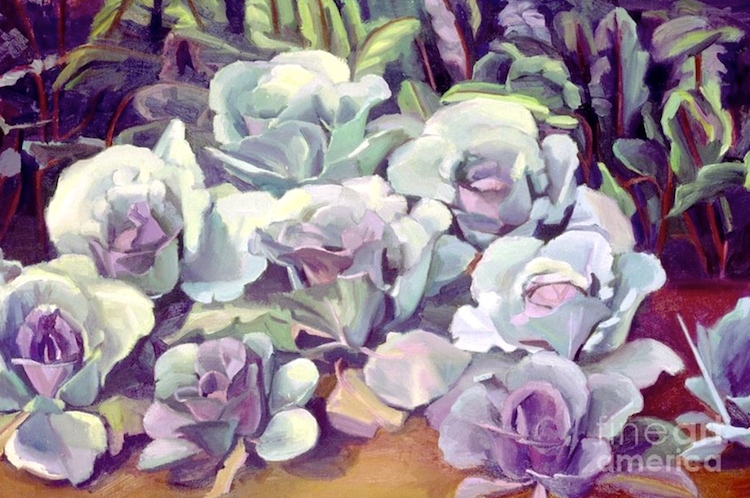 A little while back, an exhibition at the Pacific Art League Palo Alto (just up Ramona St. from my house) included a very striking painting of Swiss chard leaves — at a price well beyond my means, so I took no further note of the work. 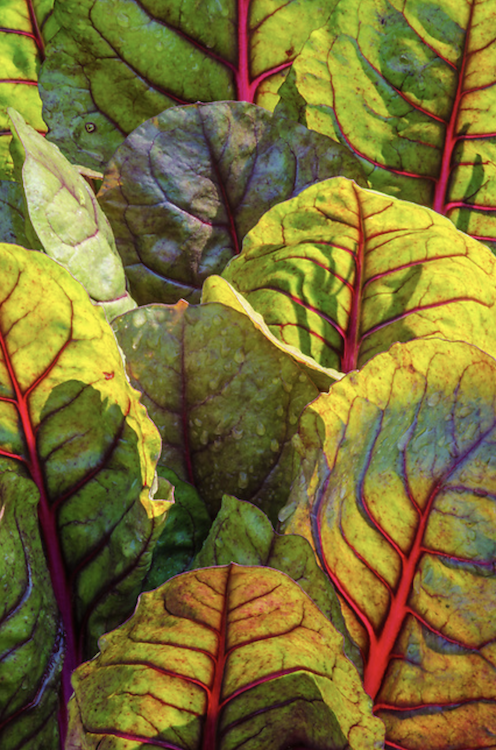 But it did alert me to the fact that Swiss chard, with its striking colors and complex textures, was actualy a frequent subject for art work (in various media) and photography. Swiss chard (Beta vulgaris ssp. vulgaris) is a traditional vegetable, but the ‘Bright Lights’ cultivars are pretty enough to grace any ornamental garden bed. Stems and midribs come in bright orange, yellow, red, or white, and contrast nicely with the green leaves. They have an upright growth habit, and look especially pretty clustered in groups of three to five plants. 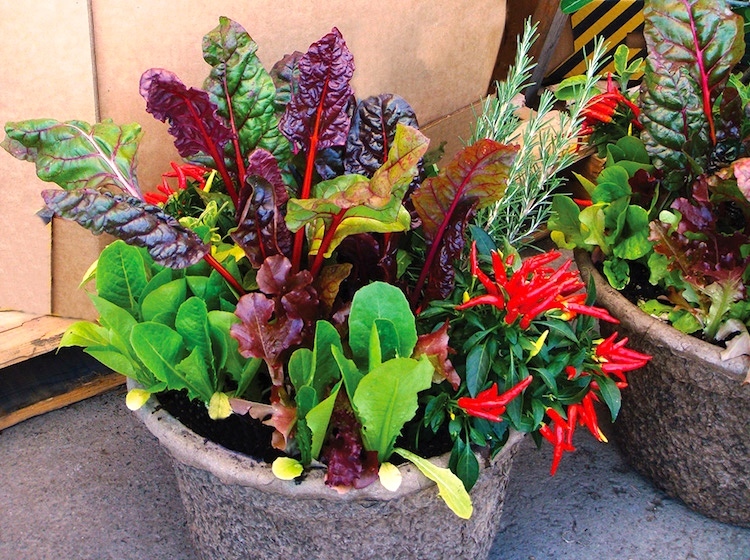 Find a sunny spot at the front or middle of your garden for this lovely edible. 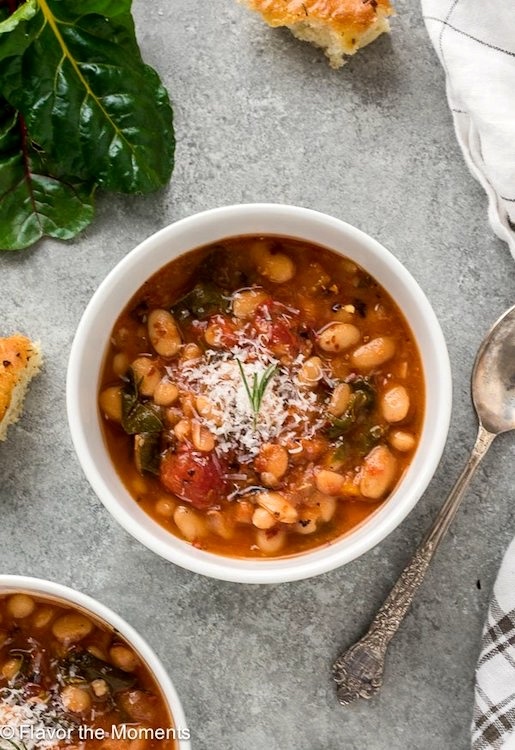 Other variants of the stew use chickpeas (garbanzos) rather than white beans, or add small pasta or rice (as in minestrone), or both. They’re all delicious. This entry was posted on July 17, 2018 at 9:15 pm and is filed under Art, Language and food, Language and plants, Modification, Photography, Romansh, Semantics, Switzerland and Swiss things. You can follow any responses to this entry through the RSS 2.0 feed. You can leave a response, or trackback from your own site.